What would you do if the things that caught your eye on a daily basis were put on display in real time for everyone to see? Are you comfortable with allowing marketers and researchers the ability to know the things that catch your eye while on a leisurely stroll or playing a game of basketball with friends? 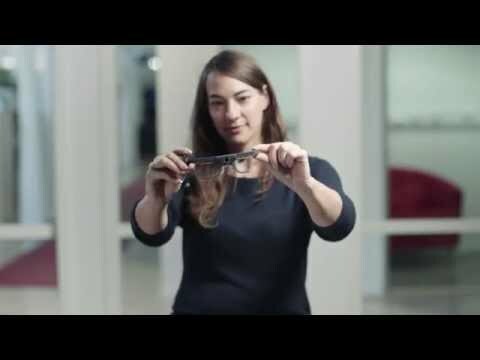 Well, the developers behind the Tobii Smart Glasses have taken their technology one-step further with the latest eye-tracking headset, the Tobii Glasses 2. The next generation shows exactly what a person is looking at in real time as he or she moves freely in any real-world environment. Why is this so important? This technology will help broaden insights into human behavior across many research disciplines. An everyday consumer may miss the magic in this latest technology, but for researchers of visual systems, this is the type of innovation they need. Although a prototype has not been developed just yet for everyday users like you or I, the glasses are primarily designed for research projects, testing rooms and simulators. But, HOW does this technology even work? First off, the glasses have zero obstruction to the peripheral, allowing the cameras to track a wide area. Each eye is tracked by not one, but two cameras, meaning that even if the wearer makes an adjustment the users ‘gaze’ can always be monitored. Finally, the real-time tracking device allows for researchers to view a continuous stream on their own tablet or laptop of what the glasses-wearer is looking directly at, at all times. Crazy, right? This kind of high-speed, fast-tracking of data will get the information to designers and techies quicker than ever before, thus the wearable tech industry will continue to increase at an even more rapid rate. Tobii will be opening up the Glasses 2 and it’s superpower to developers later in 2014, allowing manufacturers to integrate Tobii’s platform into their own wearables. This will eventually lead to an array of new fashion x tech inventions (imagine the possibilities!). “This will allow people who are doing more complex interactions to take the platform of the glasses and do all kinds of things,” says Barclay. So what does this mean to fashionable bystanders like ourselves? Aside from being the guinea pigs for projects such as this, we get to prepare ourselves for a wearable tech revolution and find hope in knowing within the next five years, a simple look of the eye will be all it takes to access instant information for the products, landmarks and people that we pass in our everyday lives. Stay positive fashion x tech world, the future is in good hands! What do you think about the Tobii 2 glasses!? We would love to hear your feedback, so send us your thoughts @FASHIONOTES, or leave us a comment below!